Activities Include: kayaking, canoeing, paddle-boarding, hiking, swimming, capture the flag, volleyball, nature exploration, wildlife observation, critter meet & greet, scavenger hunts, arts & crafts, Game Warden guest speakers and much more! Items to bring daily: Sunscreen, bug spray, swimsuit, dry change of clothes, towel and a mid-morning snack. Lunch is provided. The main goal at RiverRat's Adventure Camp is to teach our youth proper kayak and canoe techniques. 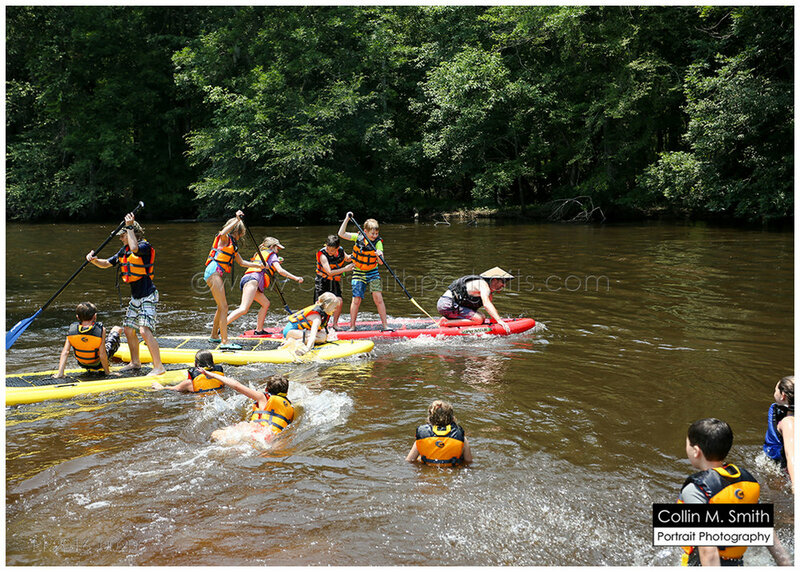 Campers will learn paddle strokes, how to get out of tough situations, and how to help others when they get in difficult situations on the river. Campers will leave with a new respect for our river systems and knowledge on the importance of safety while boating. Register before April 15th for a 10% discount. Half ($125) is due at registration, the remainder is due June 1st. Each additional sibling is $200. Day 1: Learning to Paddle – We’ll begin by exploring the woods. Identifying birds, plants and other critters. The morning will consist of arts & crafts and games. After lunch, we will spend the afternoon learning how to paddle a kayak. Today we will learn how to properly wear life jackets, load and carry a boat, which paddle to use and learn basic paddle strokes, and many other paddle techniques. Day 2: Getting Our Feet Wet (And Our Paddles Wet) – We'll check our traps in the woods again, releasing any critters caught over night. We will do some arts & crafts and follow this with a game of kickball before eating lunch. The afternoon, we will put our boats in the water and paddle in front of the house. We will also try paddling a paddle-board and canoe. We will learn how to help others while in our boats. Day 3: Paddling Lynches River – We will start by visiting the Education Center at Lynches River County Park for an animal meet and greet. We will visit the canopy walk and take part in a scavenger hunt. While having lunch, we will go over what was learned the previous two days about paddling. Leaving the park we will head to our put-in spot on Lynches River to do our first official paddle. Day 4: Getting It Down Pat – We will begin by reviewing some basic paddles stokes. Mid-morning will be visited by a local Department of Natural Resource Law Enforcement Agent (Game Warden). After lunch we will begin our kayak/SUP/canoe races while practicing teamwork and learning proper waterway practices. 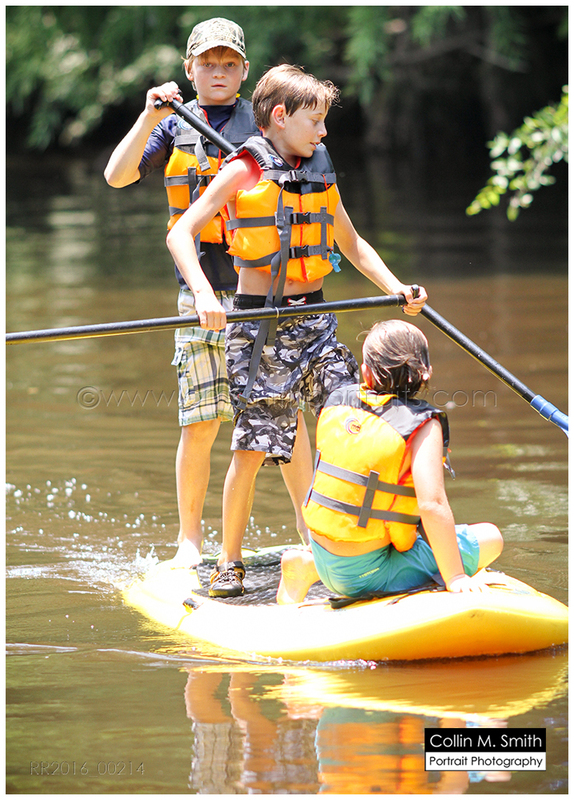 Day 5: Parents Paddle – Today we would like to invite parents to join their children in paddling down Lynches River. Cost per adult is $20. Lunch will be provided after the paddle and campers will be dismissed. Days will be similar to beginners courses for group activities. However, campers will learn much more difficult rescue techniques including: self-rescue, trip planning, and proper clothing. Drop off time is from 8:30 - 9:00am and Pick up time is 3:00. Lunch is provided: Monday - sandwiches with chips and fruit, Tuesday - hotdogs, chips and fruit, Wednesday - subs, chips and fruit, Thursday - sandwiches, chips and fruit, Friday - pizza. Activities are subject to change based on weather. Camp will go on, rain or shine. In case of lightning we will seek shelter immediately. Individual Day Camp days are open if the camp hasn't reached capacity. Price is $60/day.